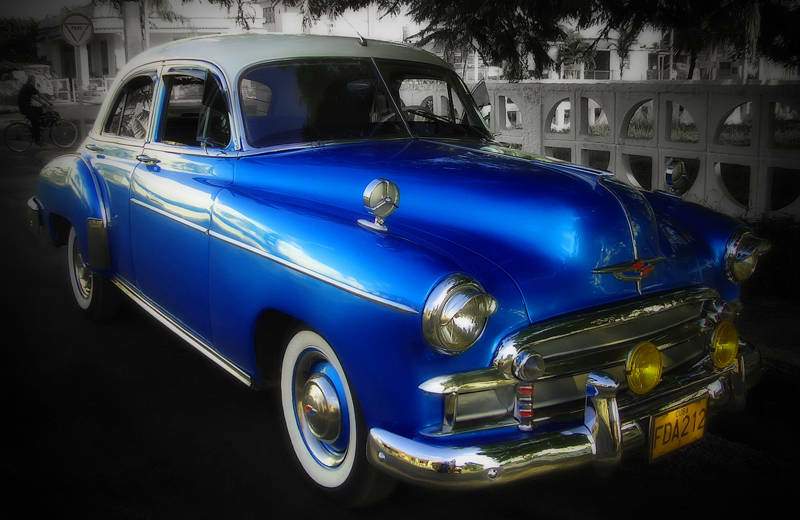 I shot this beautiful car in Cienfuegos in Cuba. This is my first attempt at using the Orton Effect. At this point I must mention the very cool photoblog zOOm and thank Florence for sharing this technique. In essence the effect is created by duplicating a layer, blurring it and setting the blend mode to multiply. This significantly darkens the image so I applied curves to brighten each layer. I applied a little vignette and some masked desaturation to keep the focus on the subject. I must admit that I’m very admirative, for a first try, this is spectacular ! Well done Jason and it’s cool too that you can share this technics as well. On Aminus we cannot not attached docs. Thank you for the link Jason and for the nice words. You’re a gent ! Let’s have a ride in this little blue wonder ! very nice ride nicely frame……. what a lovely shot. the light and colours are perfect. love this. Excellent processing once again. I have so much to learn – you inspire me. great car… heard a lot about cuba and the old cars you can find there, would like to go there one day as well. Fantastic shot. You really nailed the processing with the Orton effect. Also, its so cool how you post the Layers too!